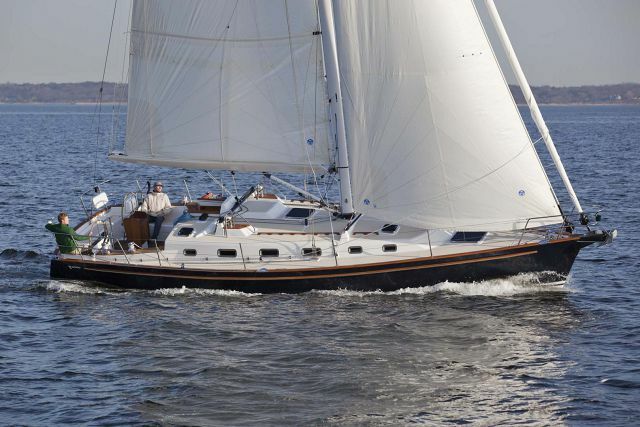 The Tartan Yachts 4700 has a sophisticated design, offers exceptional performance, and the commitment by the factory to produce innovative boats with high-end materials means the sailboat has considerable value. 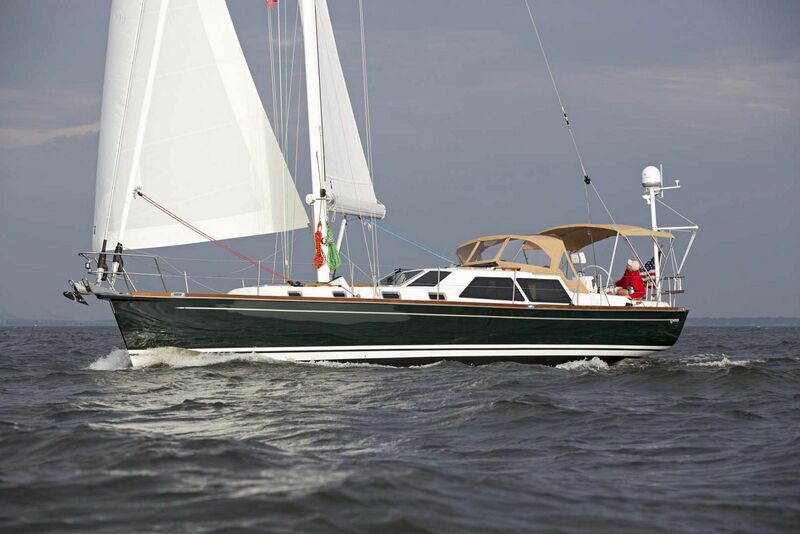 The hull of the 4700 uses an infused epoxy modified vinylester and a closed cell synthetic foam hull coring. 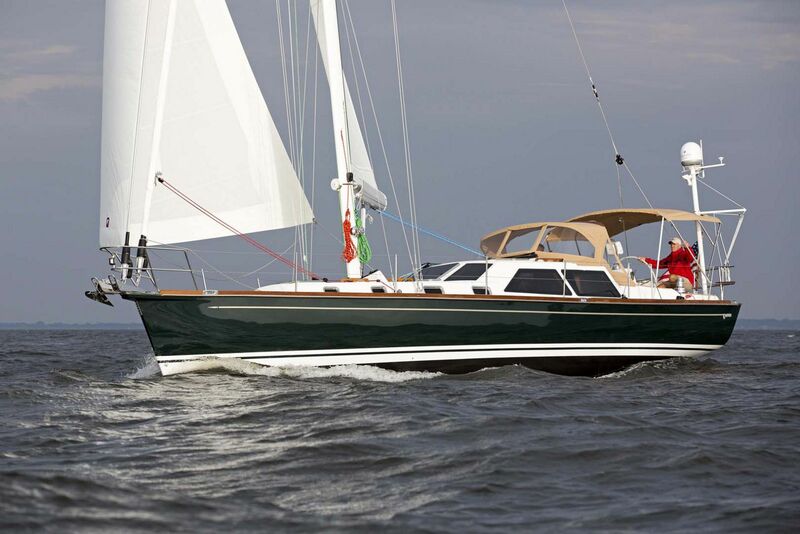 The resin is then infused into the hill and laminated in once, eliminating the need for a secondary bonding of the structure. 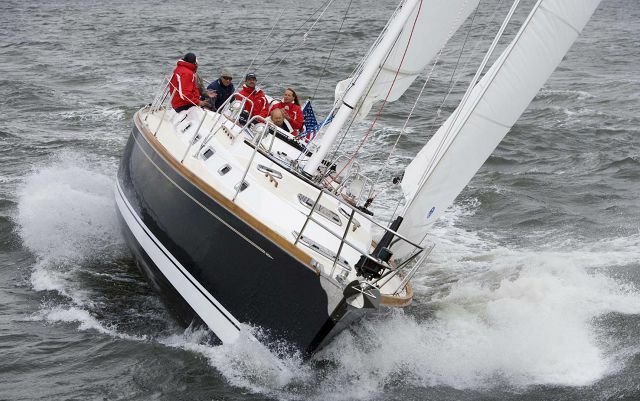 The result is a lighter and stronger hull that vastly increases the performance compared to competitive models in its class. 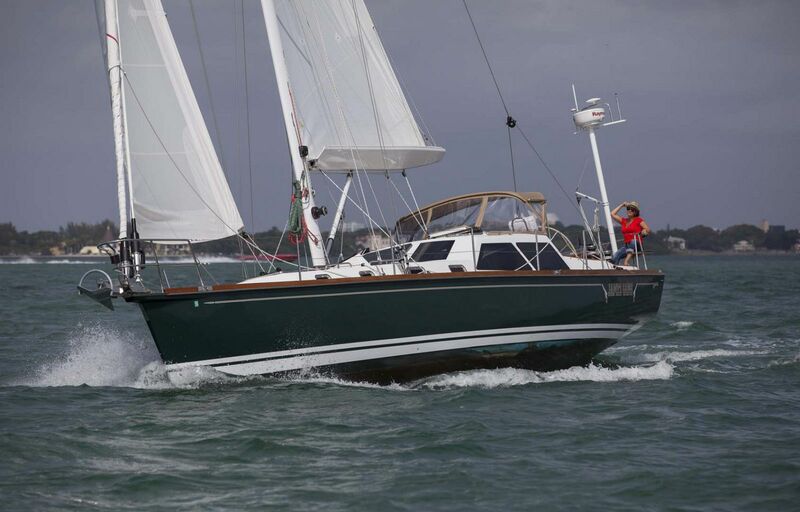 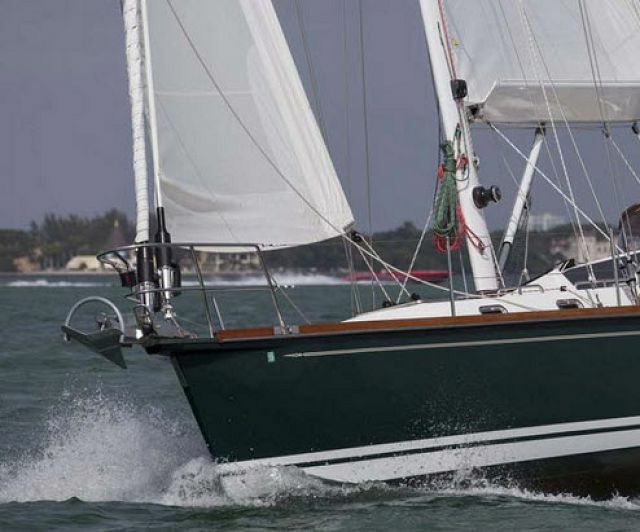 Tartan owners put sailing performance first, and the 4700 deck plan is optimized to allow her crew to efficiently tweak sail shape and trim from the security of the cockpit and helm areas. 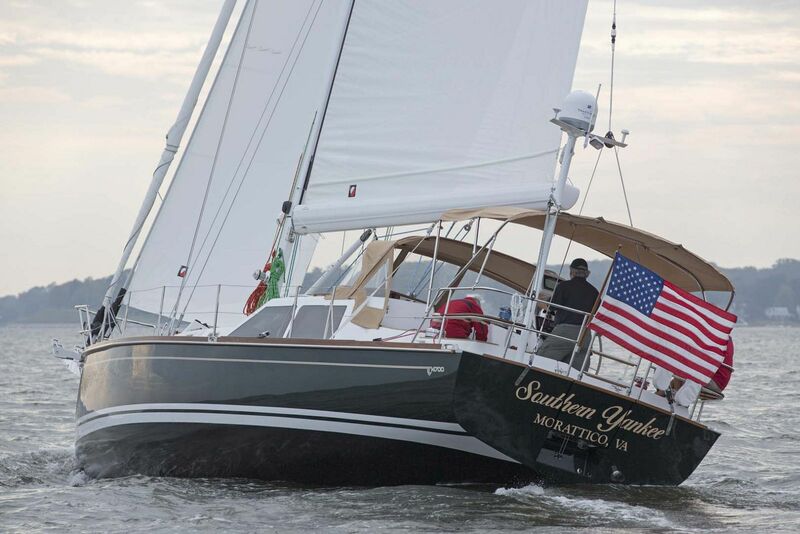 Her all chrome winches and polished stainless hardware are from the best suppliers in the industry. 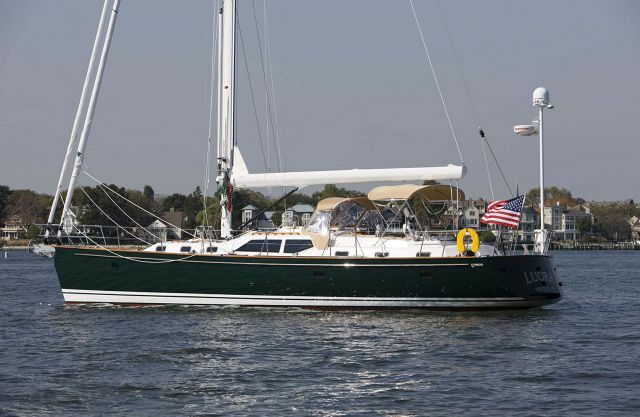 Few yachts can match the ventilation of a Tartan and the 4700 continues the theme with 12 opening port lights and 9 deck hatches. 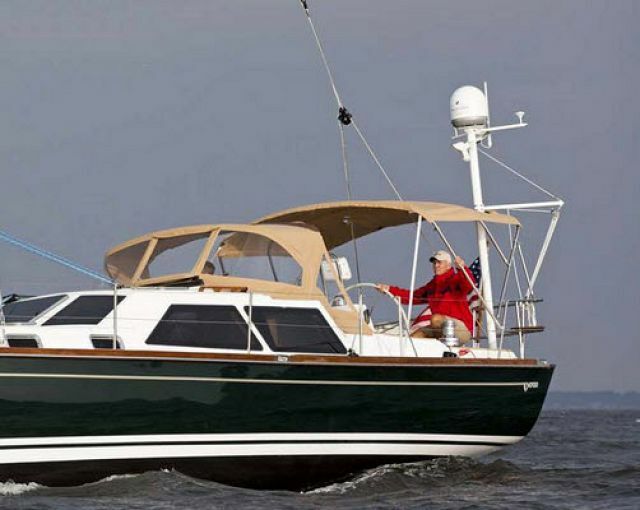 Dockside or sailing, the cockpit is the center of on board activities, rack and pinion steering, long contoured seating and a walkthrough transom platform provide comfort and convenience. 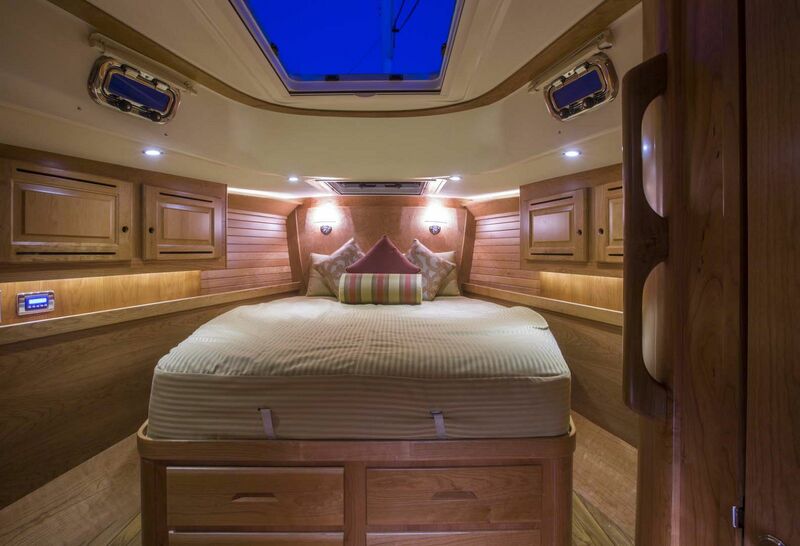 The layout of the Tartan 4700 includes three cabins with two heads where both of the forward and aft staterooms feature a queen sized berth. 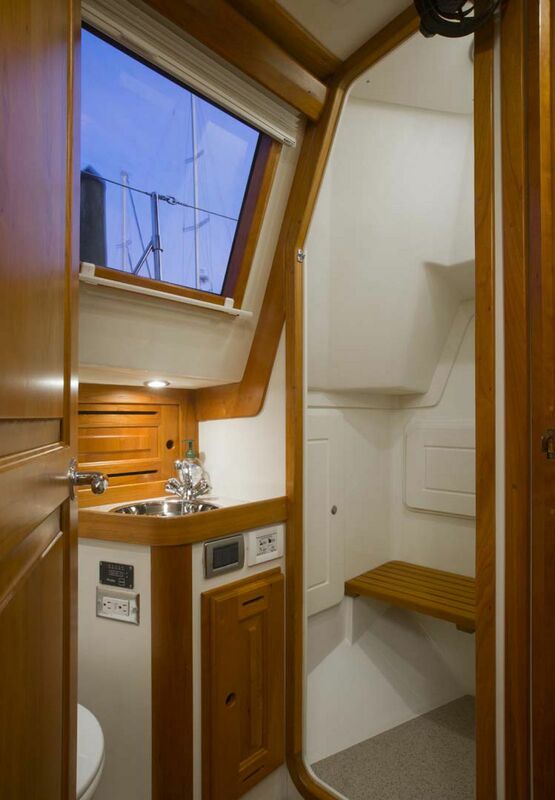 The crew cabin is starboard and has upper and lower bunks which are a great place for kids on board to sleep. 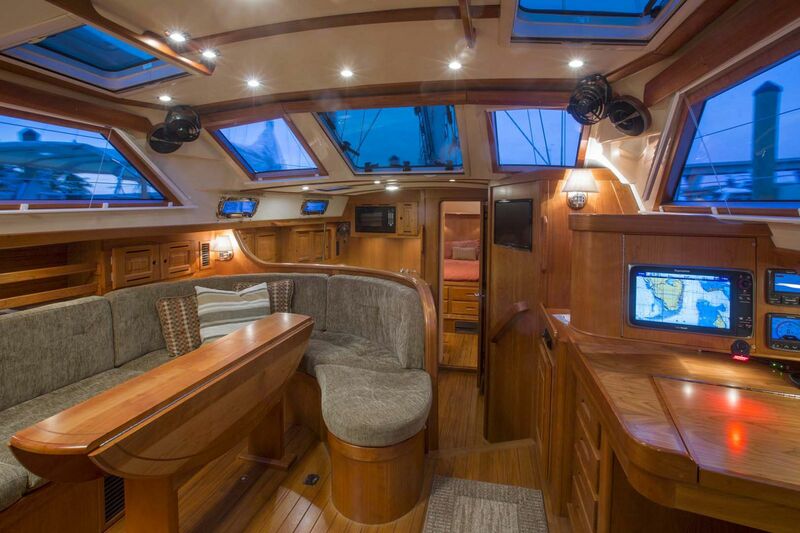 The galley on the 4700 features a double sink, large refrigeration system, a 4-burner stove, and plenty of storage opportunity. 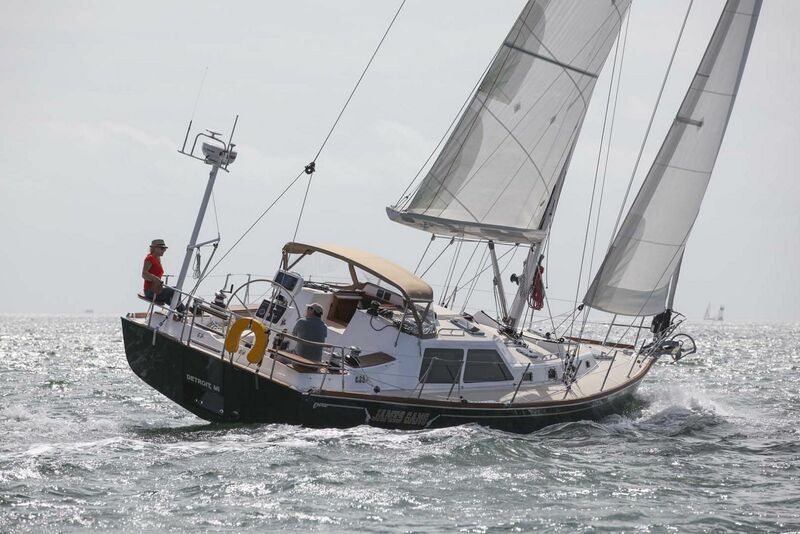 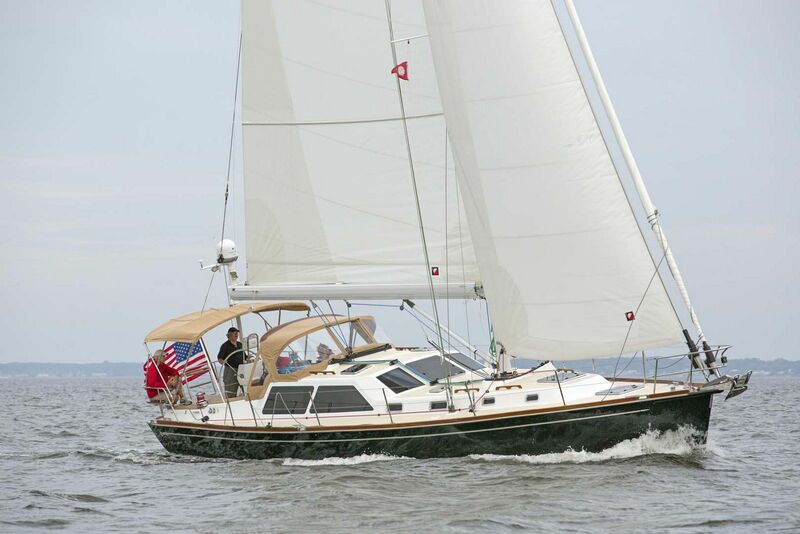 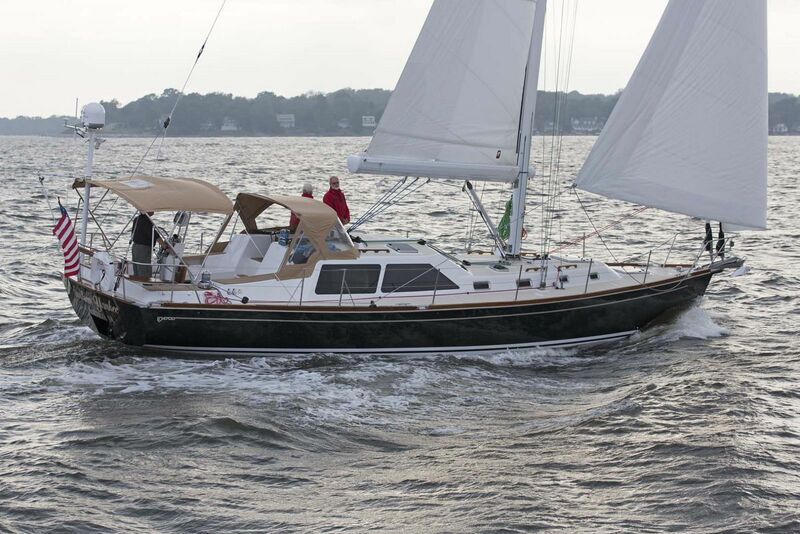 For more information on the Tartan Yachts 4700 Sailboat, please contact your Seattle Yacht Sales Professional today. 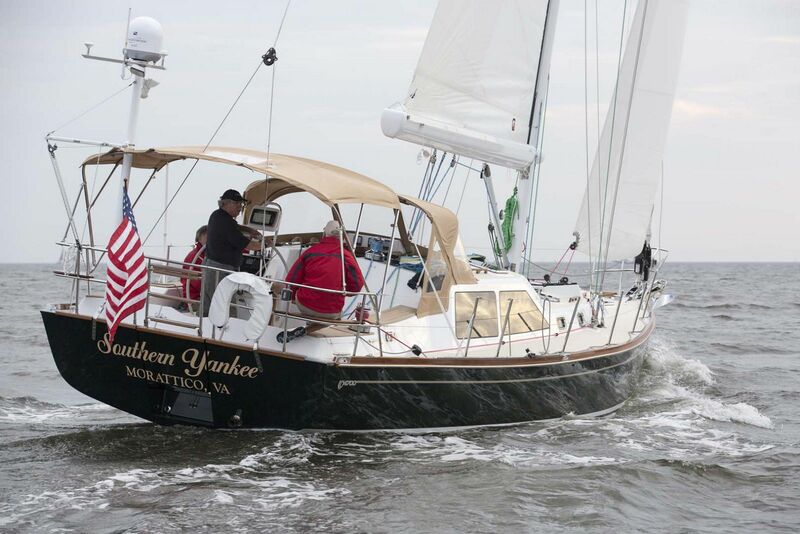 Fuel Tank Capacity: 120 Gal. 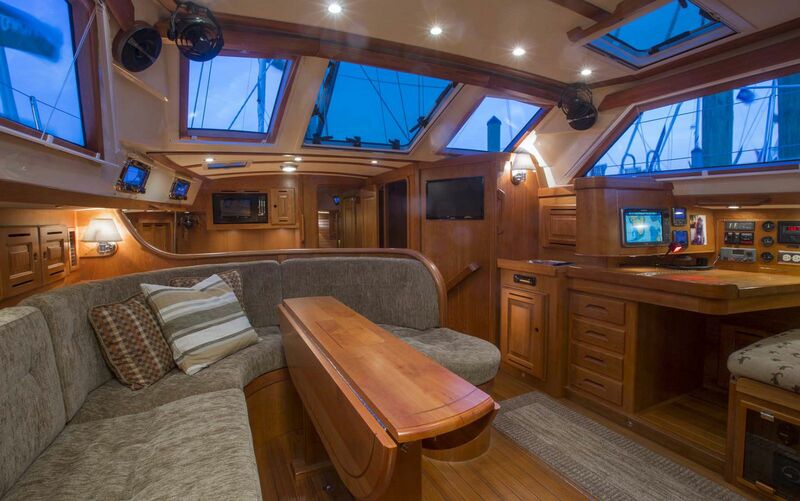 Loaded with options, the Tartan 4700 can be configured to have all the comforts you’d need to call it home. 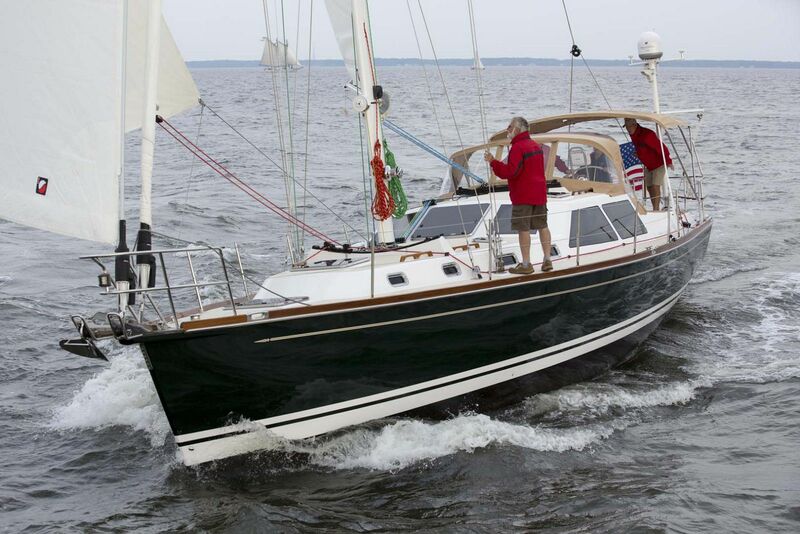 Fortunately, there are still builders and designers out there who are willing and able to combine the best of both old and the new in boats like the raised-saloon Tartan 4700.